To make sure your next supper club is a sell out success we gathered top supper club hosts Lauren McLean of The Last Secret Supper Club, Michael Sanders of E7 Supper Club (and 2014 Master Chef semi-finalist) and Eddie Shepherd of The Walled Gardens Supper Club to share their 10 Do’s and Don’ts to sell out your supper club. Spend time defining the concept of your supper club and most importantly focus on what makes it unique. Creating a concept that is interesting and shareable is the first step to getting the press and foodies talking about your supper club. If it’s photo shares and instagram followers you are seeking (and who isn’t?) don’t skimp on ensuring you can execute on your concept in a visual and shareable way. Many supper clubs do by this by featuring a unique venue, incorporating an interesting theme or by looking to pop-culture for inspiration! 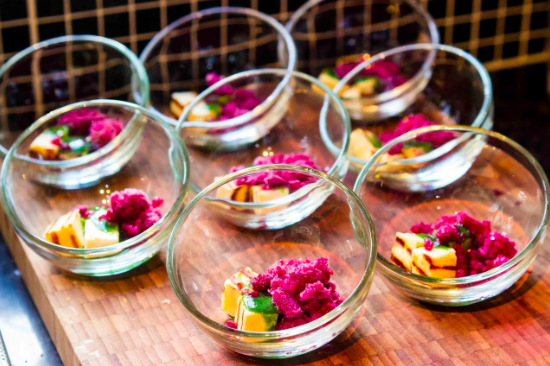 It might be tempting to get started right away, but making a strong first impression is vital to running a supper club that has longevity. Give yourself plenty of time to test out your concepts and to build initial interest. Go to other supper clubs to get an idea of how the event should run. While you’re there talk to other diners about your plans and hear thoughts from supper club lovers! Most importantly give yourself the time to make sure you have a good, tested product by doing a practice run for your most honest (but encouraging!) friends to work out the kinks and get feedback. Now that you’ve got a great concept it’s time to start using social media to build a community. Lucky for you, food & drink content leads social media platforms due to its popularity and visual appeal. When you are just getting started don’t worry about not having many followers or feel pressured to utilise every social media channel. Start with your friends and colleagues and pick a couple platforms that work well for you to start communicating your story. Make sure your content is unique and genuinely interesting to your audience. 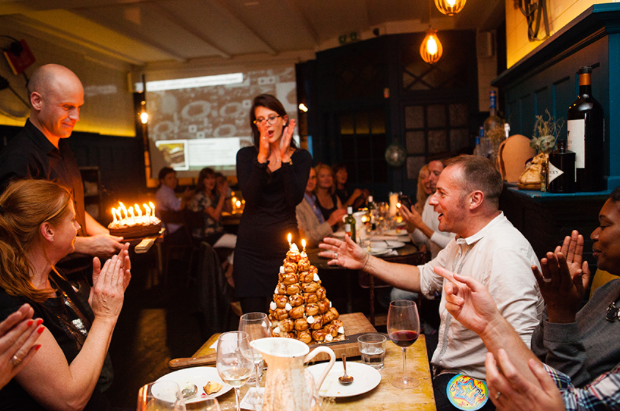 Good old fashioned word-of-mouth remains one of the most effective way to build awareness for your supper club. Tap into your local community and ask your friends and family to spread the word. 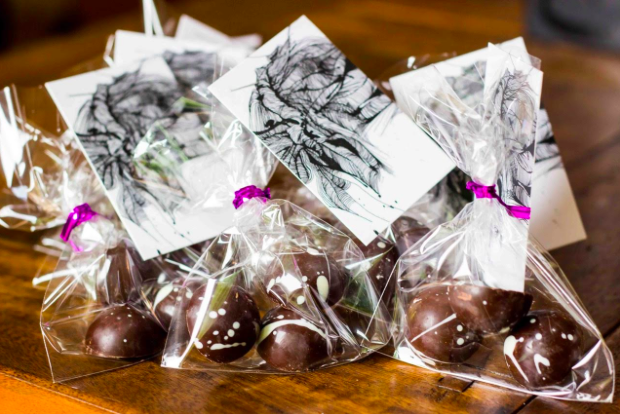 Getting local vendors involved can help to spread the word and lower your costs. Consider working with your local butcher to source your proteins and you can both benefit – have them tell their customers about your supper club and you can feature them on your menu. Getting press around your event can give you a huge boost in awareness and ticket sales. Look to your local neighborhood press and figure out who writes for Food & Drink or Local Events. In the e-mail personally invite them to your next supper club and put together a concise press release that quickly shows off your concept along with links to your website and social accounts if they want to learn more. Everyone enjoys feeling like an insider in a community. So find unique ways to engage with and reward your most loyal diners. Set up insider newsletters where you can tempt this group with insider-only perks. Early access, clues to your secret menu, and premier seating are great ways to reward this group. Our favorite tip is to collect birthdays from your attendees and surprise your guests with a cake at the supper club closest to their birthday. Other diners will take notice and will come back for the special treatment! “Mailshot your past attendees (I use MailChimp) with updates about forthcoming events. You’ve done the hard work getting them along the first time. Assuming they had a good time, they are the most likely people to book for your next event, so don’t forget about them. Despite the industry’s obsession with social, email remains the most effective way to convert interested customers. But as Michael mentioned above most people have no interest in pure promotional emails. Strategically consider how you engage with your diners over email, and make sure you’re feeding your readers interesting, fun and useful content. 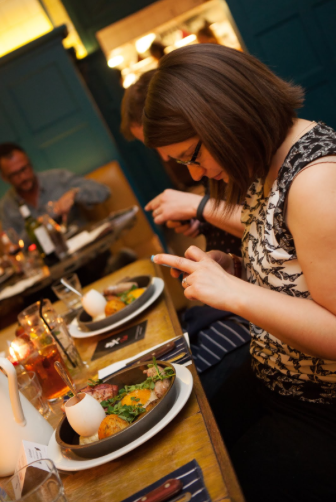 Email can be very effective after your supper club. We suggest sending different emails to the attendees and to your subscribers who did not attend. The goal with the latter email is to build FOMO. Include a video testimonial, photos and a link to buy tickets to your next supper club. For the email to your attendees share photos, add a recipe from the meal and most importantly… thank them for coming! If your diners whip out their phones, make sure they are taking pictures! Create fun ways to encourage your guests to share their photos across their networks. Most important tip here: Make sure your plating is picture perfect! Giving your guests something to take home at the end of the night increases the chance that they’ll engage with you after the meal is over. A magnet, sticker or snack for later serves as a great reminder of the great experience they had with you. Include your website or #hashtag to give them a guide on how they can engage with you post-dinner. 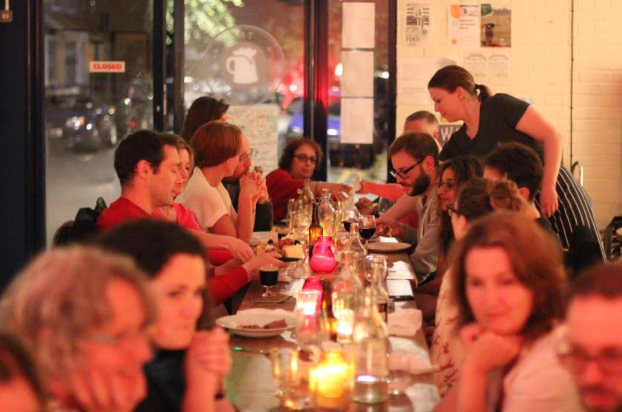 Check out e7 Supper Club , The Last Secret Supper Club, and The Walled Gardens Supper Club to attend an upcoming supper club. For more Supper Clubs happening around the UK check out our guide to Supper Clubs & Pop-up events here.